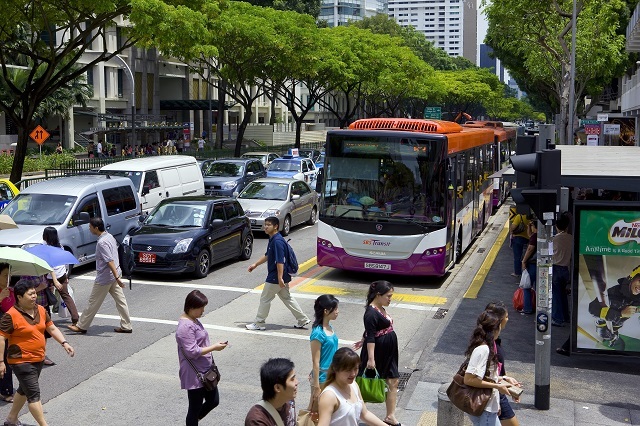 Driverless cars have the potential to complement roads designed for safety in cities like Singapore. Photo by Scania Group/Flickr. Each year, millions of people die from traffic accidents on roads worldwide. As city leaders take action globally to improve road safety, some innovators have begun to address one of the major causes of traffic accidents, human error, by exploring self-driving technologies. Self-driving cars are emerging from laboratories and are starting test-runs on the road, drawing increasing attention for their potential to reduce collisions. For example, next week’s Towards Zero Conference 2015—a global conference on road safety—will feature automated transport as one of this year’s three themes. Although the technology is improving, some skeptics have voiced doubts. For one, driverless technology cannot correct the mistakes of other road users like pedestrians, cyclists, and motorcyclists. Moreover, human error is not the only cause of traffic accidents. Environmental factors play an important role as well. Street design, traffic conditions, signs and signals, and weather conditions all influence how people behave on the road. It’s difficult to completely eliminate mistakes, no matter how far driverless technology evolves. In light of this discussion, let’s take a look at the current state driverless technology. The first driverless car was prototyped in the 1980s by Carnegie Mellon University. Since then, car companies, the IT industry, as well as research universities have become increasingly interested in self-driving technologies. Although most driverless cars are currently in the prototyping or design phases, some cities and states in the US, Australia, and Europe have passed legislation to allow for testing on actual roads. Driverless technologies are designed to reduce error by replacing human perception and judgement with sensors and computer systems. Typically, these cars are equipped with radar, GPS, cameras, and artificial intelligence. For example, Google’s driverless cars, which began road testing in 2012, are mounted with laser-based radar that can generate a detailed “map” of the surroundings. The computer then combines this locally-generated map with existing, high-resolution maps to model a route, allowing the car to drive itself. Since driverless cars can theoretically “see” the entire picture of their surroundings, the idea is that they can drive more efficiently and safely. Driverless cars don’t drive drunk or and don’t experience fatigue—two common causes of traffic collisions. In addition to improving road safety, some advocates claim that driverless cars could reduce congestion, lower emissions, and make traveling more comfortable. A prototype of Google’s driverless car is currently being tested on city roads. Photo by General Physics Laboratory/Flickr. Driverless cars can also fit into greater intelligent transport systems. Among them, vehicle-to-vehicle (V2V) and vehicle-to-infrastructure (V2I) communication systems enable cars to send and receive information from surrounding cars or roadside units, such as traffic signals or speed signs, allowing them to adjust their behavior accordingly. Researchers from University of Texas in Austin are developing smart intersections that have no traffic lights or stop signs, but communicate directly with each autonomous car. However, it’s important to remember that these road tests have always been conducted at a small scale or in low-speed, low-traffic environments. Furthermore, these tests were not entirely driver-free either: operators needed to take action in case of emergency. 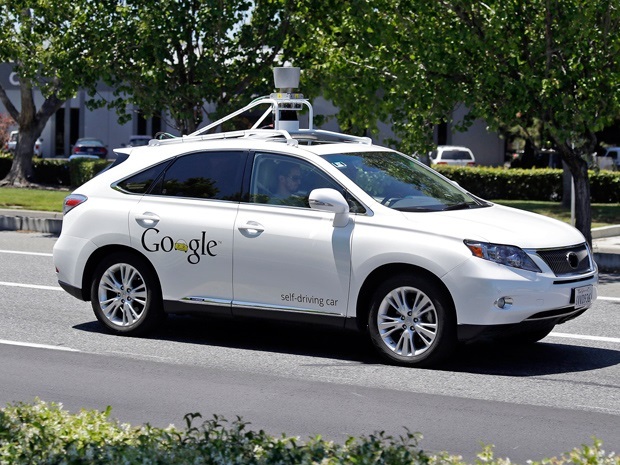 Google’s 23 self-driving cars have been involved in 11 minor accidents on public roads. Self-driving technology is increasingly shaping current discussions of road safety. However, there’s still a lot of innovation to be done before driverless cars can become affordable, widely adopted products at a global scale. Because of this, it’s still too early to fully evaluate the impact of self-driving vehicles on road safety. We need to remember that eliminating traffic deaths and injuries requires a system of roads designed for safety as well as complementary technological solutions.